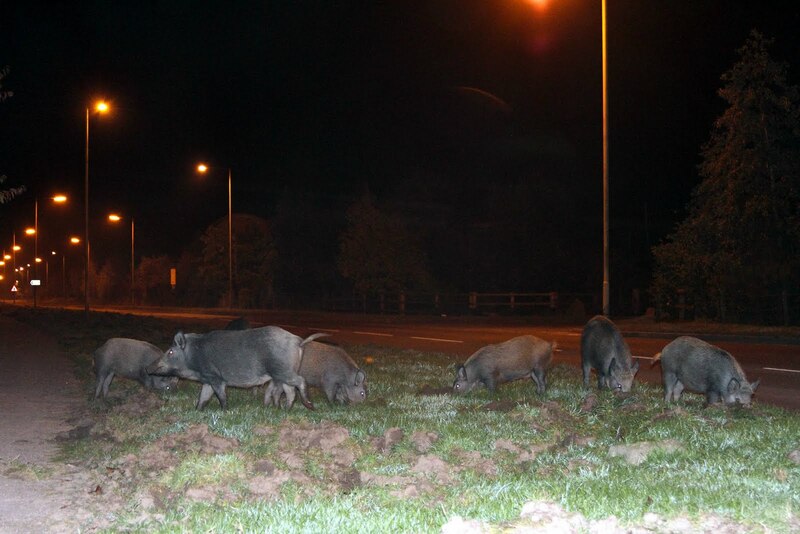 Bit of a stink being kicked up in the local press (again) regarding the rootings and mess left behind from the boars, pictured below at an Industrial Estate in Cinderford. 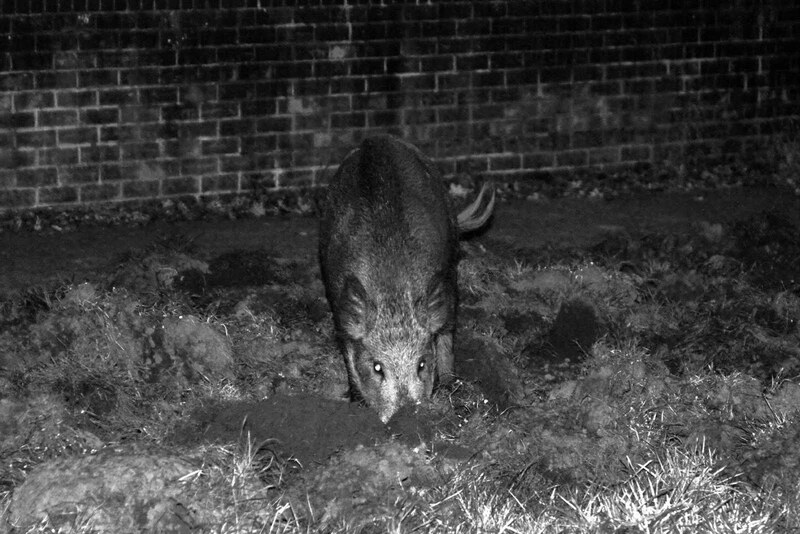 So, a bit of grass has been turned over and then the screams start for the blood of the wild boar! I was kneeling down in between these animals to get some of my pics and one even gave me a nudge to say get out of the way and off my worm. 2. "What if I were a child!" 3. Then we have the "I was charged for nearly a mile!" Yeah OK! 4. And not forgetting the "They are going to cause a serious accident on our roads!" 1. I will now ask everyone who reads this and drives around the forest over the next 4 months to look at the road verges for litter and rubbish, after the vegetation dies back. Litter everywhere, fly tipped tyres etc, yet some are more concerned about some grass being turned over, which "will" grow back! 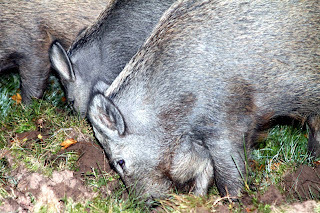 But then, the wild boar don't talk back and can't defend themselves, can they? 2. Scaremongering is and always will be the lowest form of persecution as it can turn a nation, even the majority of the worlds population against a species. We only have to look at the snake and shark to see what can happen! It has always been present and always will be. There is an animal in our forest, which has the capability of killing a child within minuets and we take it there ourselves! Woof woof! 3. 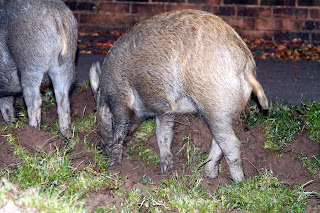 Wild boar can reach speeds of 20 mph, if not more in a very short distance. How fast can a average human run? If these were indeed charges with intent to attack like it has been claimed, then I'm afraid these people would not have outrun a wild boar. 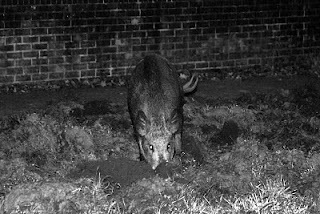 Now here we have a different type of pig - A Porkie, or maybe just a few that do not understand the wild boar, or wildlife in general! 4. We have always had free roaming sheep in the forest, some of which, during the winter months lick the salt from the middle of the road and don't even move when you blast your horn! 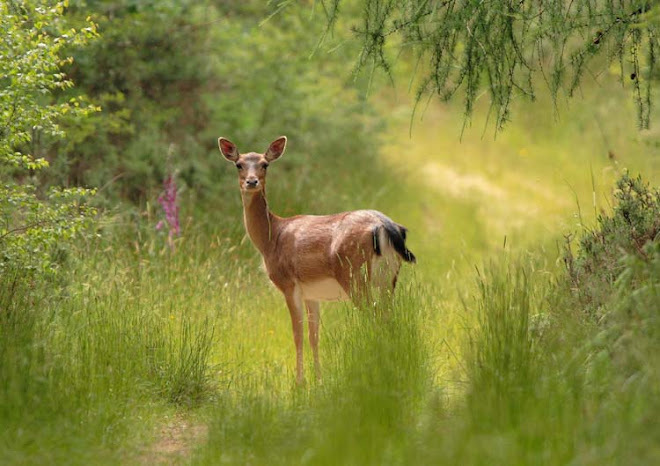 We have roe, fallow and muntjac deer all over the forest and these animals can be seen frequently on the road verges in the evening, early morning and through the night. 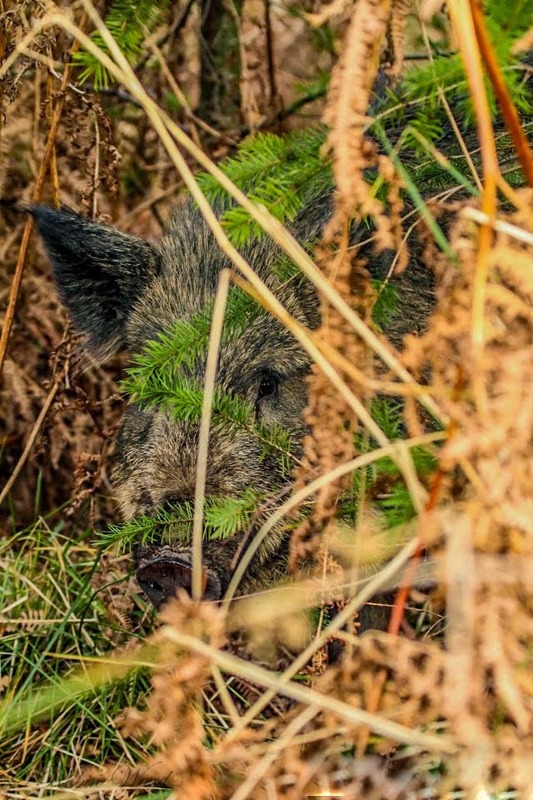 So, why is it acceptable to target and persecute the wild boar when they pose no more a threat than the sheep and the deer? PS: And why do people keep referring to wildlife enthusiasts as animal lovers! Yes, I love all animals, but when someone uses this term as a means of trying to belittle their passion while slating wildlife, then it becomes offensive. Unless there is someone who can stand up and say that they hate all animals and wildlife, then we are all animal lovers! Well done Rob, the "few of us" do believe in wildlife. 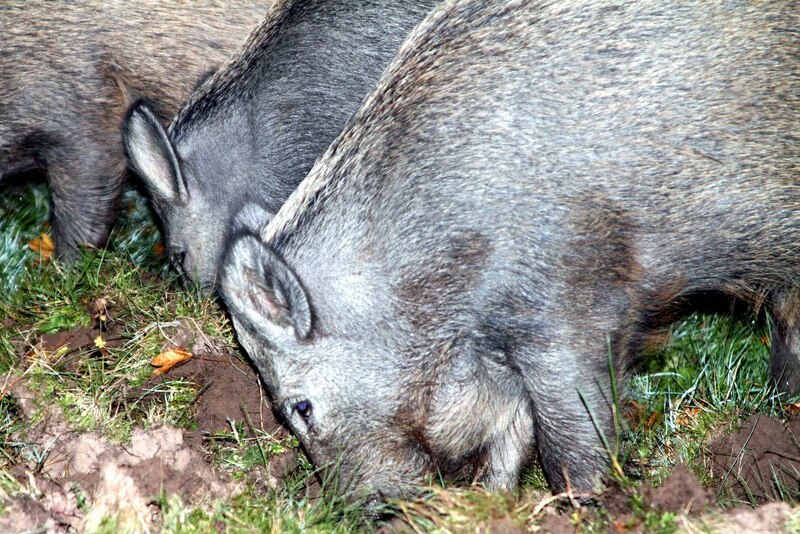 You have argued the boars corner competently as usual Rob. I think it will take a lot more than my wishing you luck but I do anyway. Thanks guys - Your support is always appreciated! 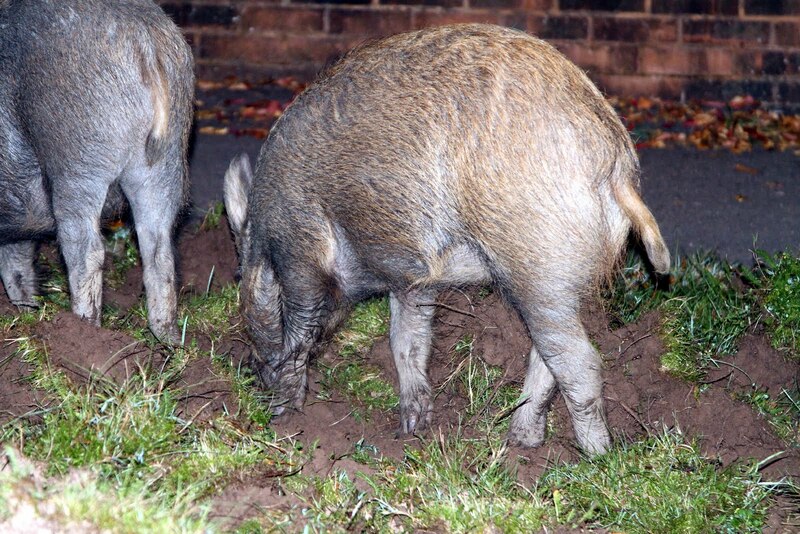 As a gardener I could understand if the beasts had access to peoples gardens and started rooting out plants and shrubs. But the verges, where is the harm. Your point about litter from the human animals is well made. Those who shout about the wildlife should first get their own house in order.